They're sisters, they make wicked music and they're about to hit Birmingham. Haim is on tour in Europe and December 5, when the band is going to play in The Institute in Digbeth, is the date to save. 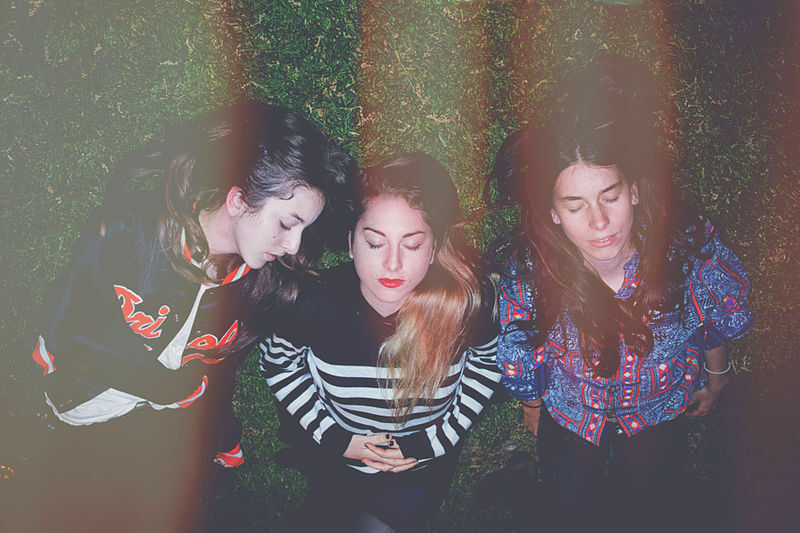 All the hype about the L.A. indie pop trio is pretty much understandable. The band was first noticed when the EP Forever was launched in 2012. But since their debut album Days are Gone was released in September, reaching the top of the charts around the world, the girls from San Fernando Valley never stopped. From the BBC's Sound of (2013) to Glastonbury and Reading festivals was just a step to be considered "the coolest band of the year". The truth is that Danielle, Alana and Este make music with passion and creativity and it just had been proved in their live presentations. It's time for Birmingham to confirm if Haim is the most prominent band of the moment indeed. The band plays at The Institute, in Digbeth, on Thursday December 5 with support of the opening bands: Saint Raymond and Childhood. Dec 5: The Institute, Birmingham. Dec 6: Leeds Metropolitan University, Leeds. Dec 8: The Ritz, Manchester. Dec 9: The Forum, London. Dec 10: The Forum, London. Dec 12: O2 ABC, Glasgow.